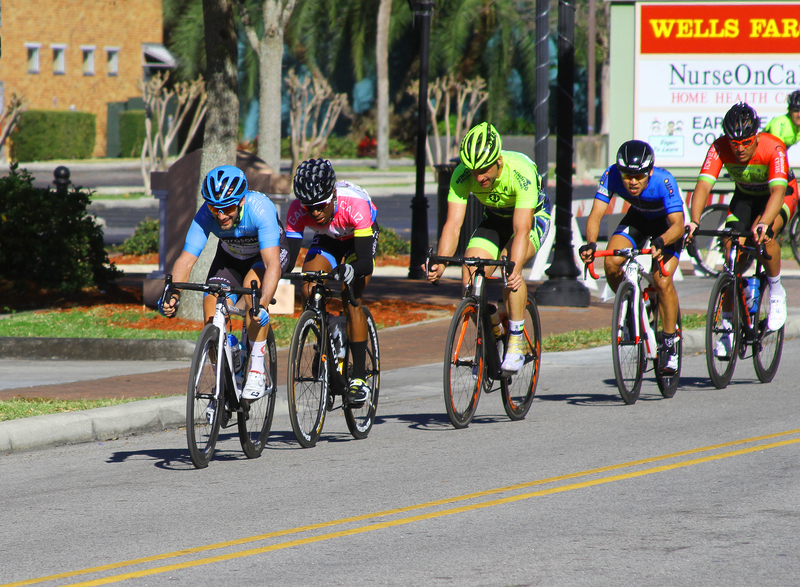 WINTER HAVEN, Fla.—Cyclists come from far afield to contest the various races of the Chain of Lakes Cycling Classic each spring. 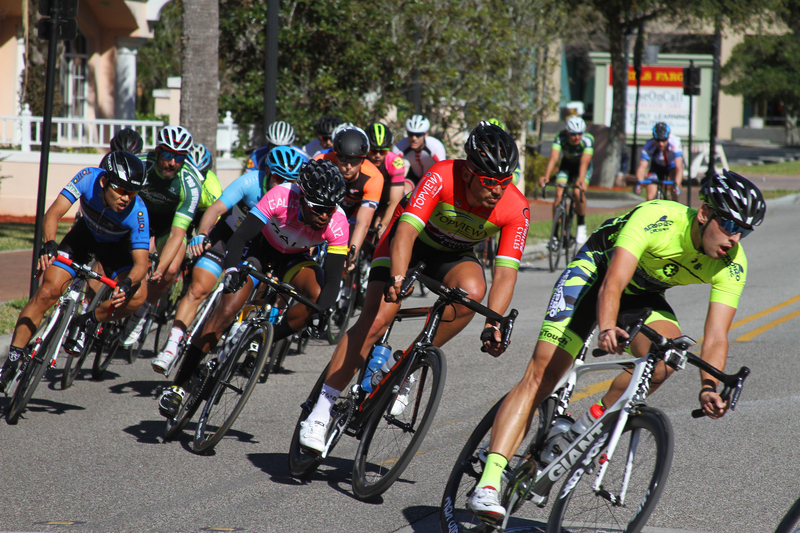 Proof of this can be found in the winner of the culminating race of the weekend, Sunday’s Pro 1/2 criterium: Oshane Williams from Galiz Cycling Team, came all the way from Jamaica to compete in early-season races in the U.S. 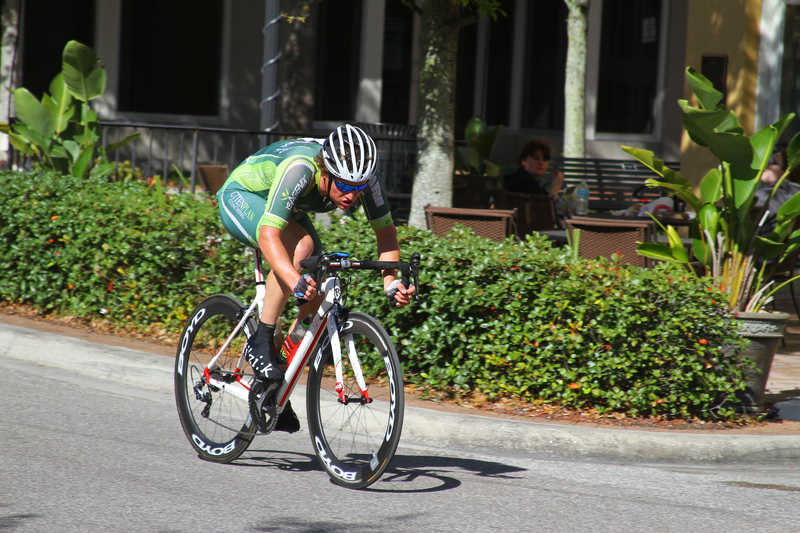 Besides winning the crit, Williams also finished sixth in the road race the day before. Williams, 22, has been cycling competitively for a decade, and racing with Galiz for the past three years. 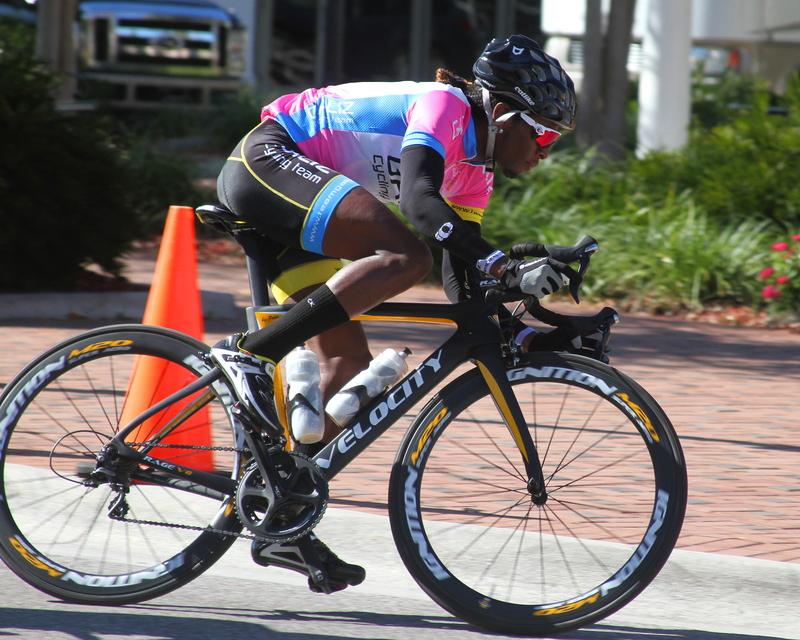 He plans to return to his native country in April, where he will be representing Jamaica in the Caribbean Track Championships. 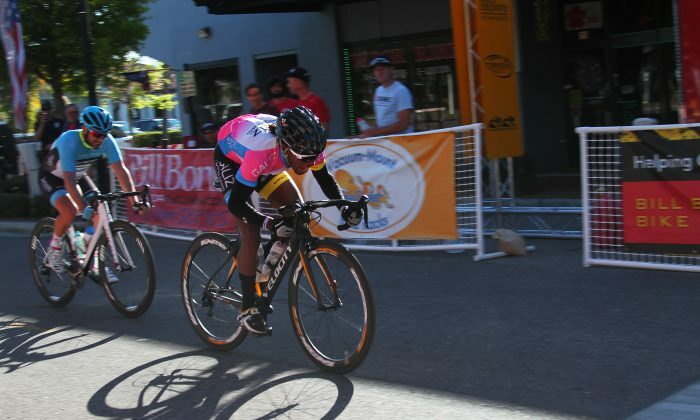 The young Jamaican pro used his experience to plan his winning strategy: he waited mid-pack while a single rider tried an impossibly long solo attack, then joined a strong counter-attack when it formed. Williams conserved his energy, then exploded in the last two hundred meters to win by a bike’s length. “The track was really technical; a lot of corners,” Oshane explained after the race.. “You’ve got to be at the front because you don’t want to get caught up in a crash or anything like that. “There was a guy, he went off the front, and I thought it was the end of the race because I know he is pretty strong, but then the guys got together and pulled him back. Williams made a point to thank his coach, Peter Aldridge, who “pushed me to my limit,” and also Galiz team manager Jennifer Hilton. The first few laps of the race had spectators and competitors alike wondering if the contest was already decided. Steven Perezluha, riding for Support Clean Sport/SeaSucker/Guttenplan Coaching, attacked at the start and opened a 30-second lead which he was able to maintain for almost half the 88-minute race—a fairly amazing feat, considering he had to push constantly while his pursuers could take turns leading the chase. No one paid much attention for the first five minutes. People started noticing after ten, and after twenty minutes Perezluha still looked so strong, fans started wondering aloud if he could possibly pull off a wire-to-wire win. 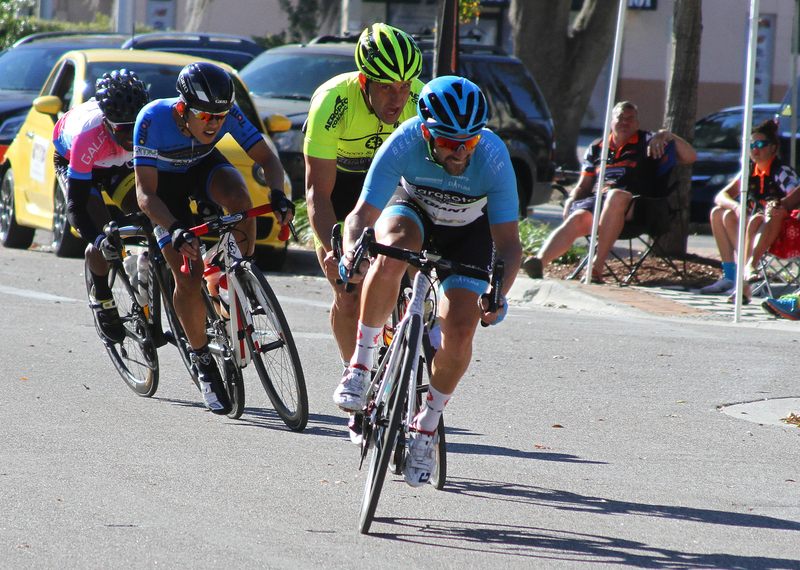 Perezluha’s gap started shrinking after about 30 minutes as a handful of riders including Roy Foley and Bruno Moreira of Aeropro p/b AXIO Cycling, Kirk Corsello from Next Moto Champion Cycling p/b Roswell Bicycles, Darren Dowling from the Sarasota Cycling Club p/b Seasucker Bike Racks, and Steven Mlujeak of Interactive Metronome Development coordinated to chase down the lone attacker. Perezluha was caught and fell back to midfield to rest, while up front everyone started eying each other, waiting for the next move. Almost immediately a counter-attack formed: Williams, Bruno Moreira, Darren Dowling, Yip Tsang, and Rainiel Sanchez of Advanced Cycles p/b Topview Sports took off and opened their own thirty-second gap on the field, which by this point was breaking up into pairs, trios, and small groups. This quintet seemed to be uncatchable, soon stretching their lead to half a lap. Steven Perezluha, recovered from his early efforts, tried to muster support for a chase. No other riders had the energy to go with him, so with five laps to go Perezluha headed out on his own, cutting the leading group’s advantage in half by the end of the race. Perezluha had to be satisfied with fifth. Up front, the leaders kept accelerating. Rainiel Sanchez couldn’t hold the pace and dropped back into the peloton. The other four fought it all the way to the back straight, where Darren Dowling led out the sprint. Williams came up on the right in the final hundred meters, edged past Dowling, and cut across in front to cement his win. Bruno Moreira took third, one second behind, and Yip Tsang finished fourth, a further three seconds behind. Steven Perezluha crossed the line 42 seconds back, 25 seconds ahead of the next competitor. Full results for the race and the entire weekend can be found at http://www.topviewsports.com/chain-of-lakes-2/.